One of Time Magazine's 100 People Who Shaped the World, Paul Simon coming December 1. 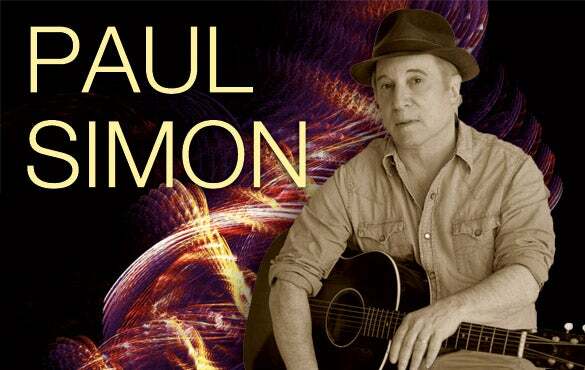 Tickets on sale 10/21 @ 10 a.m.
October 13, 2011 (Durham, NC) — Paul Simon was selected by TIME Magazine in 2006 as one of the "100 People Who Shaped the World"; on December 1, 2011, fans will know why as the critically acclaimed songwriter makes his historic return to the Carolinas at DPAC, the Durham Performing Arts Center. Tickets start at $59*. Friends of DPAC members may place their orders on Wednesday, October 5th. Joining the Friends of DPAC is free, and you can register at www.DPACnc.com/friendofdpac. Fans should check local listings for updated tour and ticketing information. "Having an artist like Paul Simon choose DPAC is such an honor. His last appearance in North Carolina almost twenty years ago…in the opening season at Walnut Creek. Triangle concert fans have waited a long time for this return, and there is no better setting than the stage at DPAC for this very special evening with one of the superstars of our lifetime," said Bob Klaus, GM of DPAC. Paul Simon, among the most treasured and honored songwriters in America's musical history, has announced that he will tour again this fall. His set list will draw from Simon’s iconic career, including several songs that haven’t been performed live in many years. Also included will be tracks from So Beautiful or So What, his first new record in five years, released by Hear Music/Concord Music Group in April to massive critical acclaim.